Alan Heeger has had several perfect days. An avid skier, who took to the sport in his early 30s, Heeger discusses perfect days of skiing in his autobiography, “Never Lose Your Nerve!”. But the now 80-year-old’s life is filled with other days of pure perfection — the day he discovered conducting polymers, for instance, “the days in Stockholm during the magical Nobel Week in the year 2000,” as he notes in his book and, of course, the day he received the Nobel Prize in Chemistry. The prize was the result of an interdisciplinary collaboration: Heeger has a doctorate in physics while fellow recipients of the award Alan MacDiarmid and Hideki Shirakawa have backgrounds in chemistry. These sorts of collaborations, which were still relatively new in the early 70s when the scientists conducted their research on polymers, were largely a product of the Interdisciplinary Laboratories (IDLs) program, created by the Department of Energy’s Advanced Research Project Agency in 1960. The program was later taken over by the National Science Foundation and reshaped into what was referred to as Materials Research Laboratories (MRLs). Specifically, the interdisciplinary programs encouraged materials research across academic fields and departments at universities, academic centers, labs and other institutions. In fact, the University of Pennsylvania, where Heeger began his teaching career, was among the first materials IDLs — and subsequently MRLs. In his writings, Heeger noted that he would never have thought of collaborating with chemists, however, the accomplished physicist went on to lead the Penn Materials Research Laboratory and eventually helped create a materials science center at the University of Santa Barbara, which became one of many institutions that welcomed interdisciplinary research. Setting up an interdisciplinary program called for a change in NSF thinking, where operating in silos of chemistry, physics and other sciences was the norm. As a result, the organization created the Division of Materials Research in 1970 with a key objective to fund MRLs to cut across boundaries of physics, materials science and engineering. 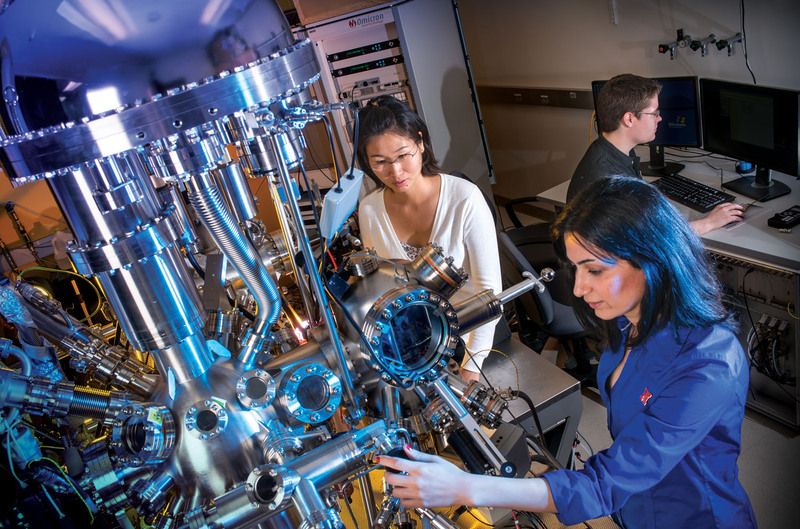 In the 1990s, NSF transitioned the MRL program into the Materials Research Science and Engineering Centers or MRSEC program that awarded materials research grants with fixed time periods — initially four years, currently six years — to competing universities and academic institutions. “The MRSEC program is a beautiful example of a partnership between NSF and academia that has and continues to lead to impactful transdisciplinary work,” says current program director Daniele Finotello. Today, there are more than 20 MRSECs across U.S. universities. These centers rely on NSF grants that typically range from $1.5 million to $3.5 million annually depending on the scope of the research program. Any academic university in the U.S. can compete for funding; typically one award is made per university. Over the years, the MRSEC program has enabled groundbreaking research and discoveries. For instance, MIT’s MRSEC has long supported research on materials suitable for advanced battery applications. That research was led by computational materials scientist Gerbrand Ceder who co-founded the Materials Project — an online database that provides open access to information on materials as well as offers tools to potentially design new materials. “It’s fundamental research,” Strom says, “but that has had a profound impact on the development of advanced battery systems.” The Materials Genome Initiative — launched in 2011 under the Obama Administration — is believed to have been inspired by the Materials Project with a goal of expediting materials research and discoveries that can often take as long as a decade or two. In general, MRSECs allow scientists to delve into broad-scale collaborative research that wouldn’t otherwise be feasible on an individual level. 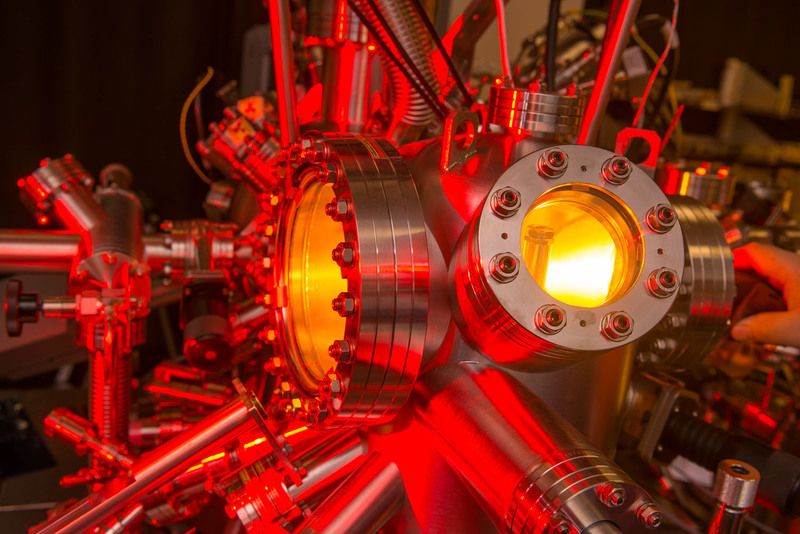 Centers are university-based and — depending on their size — typically have one or more interdisciplinary research groups (IRGs) that focus on topics such as nanoparticles, energy or condensed matter phenomena. These IRGs are comprised of half a dozen or more scientists, including faculty members as well as associated researchers. The key benefit of the program is the access it provides to facilities needed for research as well as interactions and collaborations with researchers from different fields of science. In addition, the MRSEC program has been at the forefront of bringing diversity to the scientific and academic world. “We insisted on paying attention to diversity,” Strom says. To that end, NSF’s Partnership for Research and Education in Materials or PREM-MRSEC program is designed to enable minority-serving institutions to carry out long-term and collaborative materials research. The PREM-MRSEC program, created in 2004, currently has more than 10 participating colleges and universities that not only help improve the ability of underrepresented students to get a degree but also increase recruitment and retention of minority groups in the scientific field. These NSF-funded centers sponsor numerous activities including training and mentoring efforts as well as outreach programs for underrepresented communities. In addition to focusing on diversity, the MRSEC program requires universities to integrate research and education and, as early as the 90s, helped develop tools and education kits that would go on to impact K-12 education. These projects also include efforts to educate future scientists and engineers, encourage participation of underrepresented groups in STEM disciplines and inform the general public about scientific issues. And it’s this kind of collaboration, after all, that gives birth to scientific research and discovery.